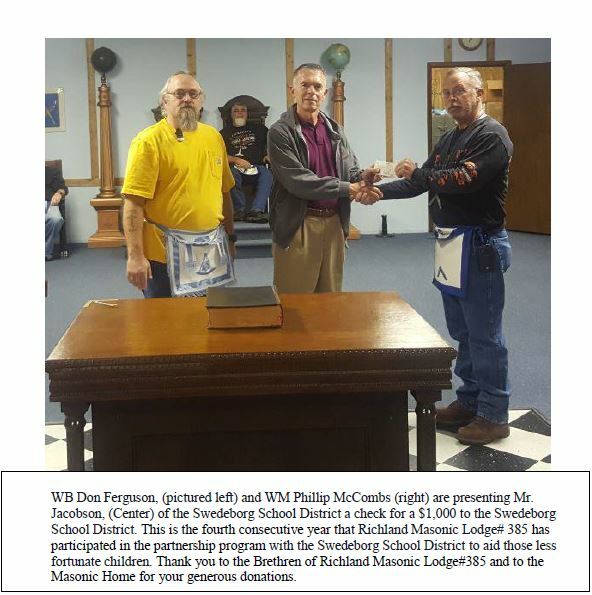 WM Morgan Dowling and Brother Ron Hawk of Richland Lodge# 385. Presented a Check for $2000.00 to Christie Chastin of Laquey School as part of the Creating a Partnership Program. 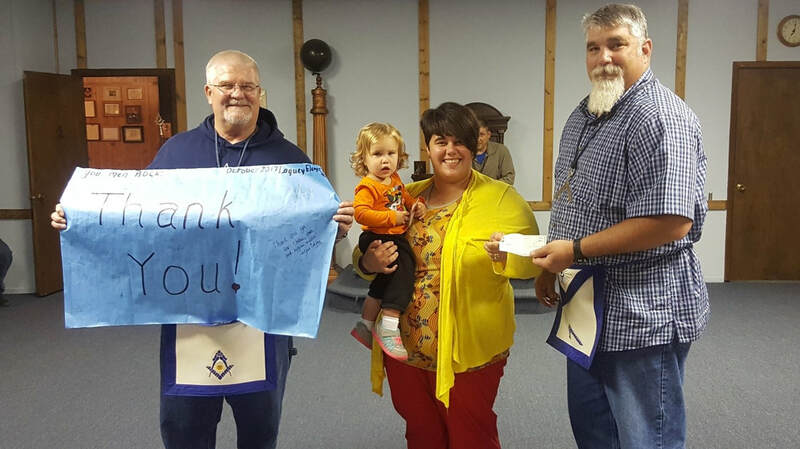 The School did a banner Students and Staff signed the Banner thanking the Lodge and the Masonic Home for their generous donation. 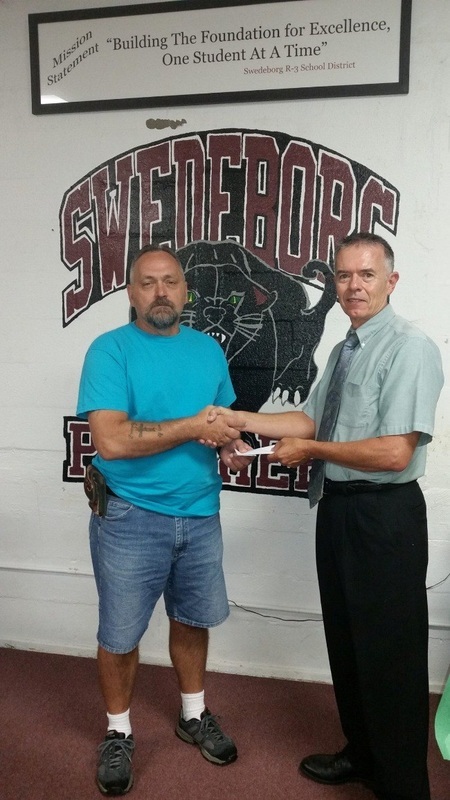 WB Don Ferguson, (pictured left) is presenting Mr. Jacobson, (pictured right) of the Swedeborg School District a check for a $1,000 to the Swedeborg School District. 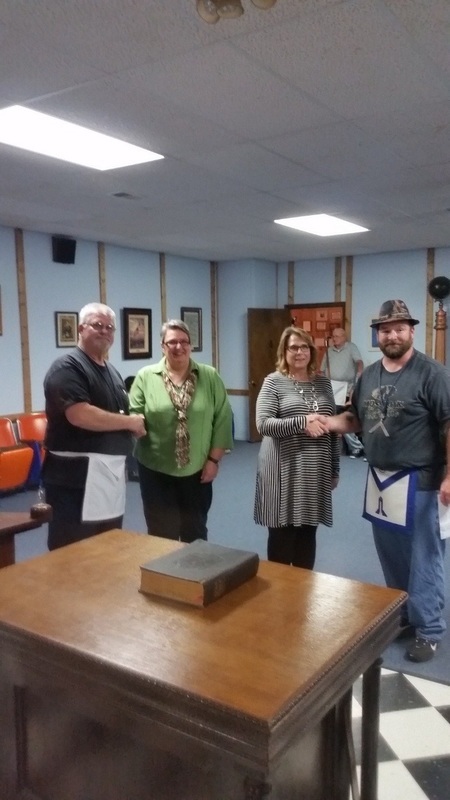 This is the third consecutive year WB Ferguson from the Richland Masonic Lodge# 385 has participated in the partnership program with the Swedeborg School District to aid those less fortunate children. 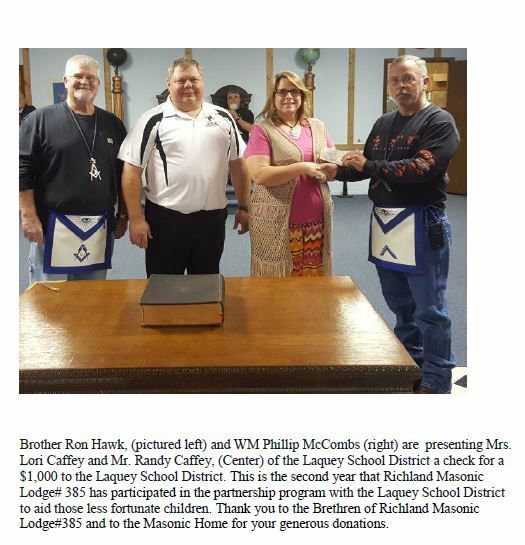 Thank you to the Brethren of Richland Masonic Lodge#385 and to the Masonic Home for your generous donations.